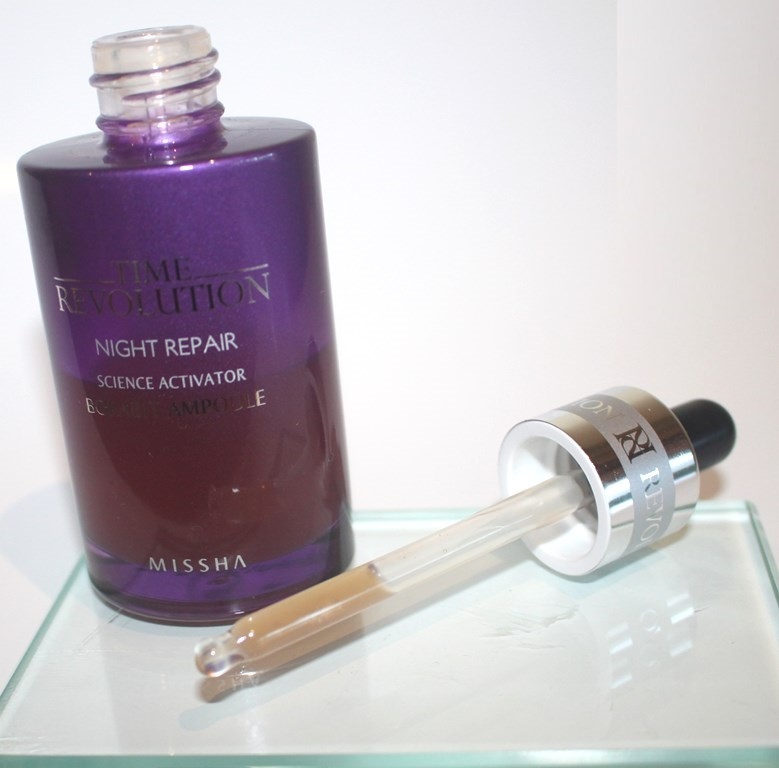 The Time Revolution Night Repair Science Activator Borabit Ampoule by Missha claims to help create flawless skin by promoting skin’s natural powers of improvement whilst also brightening and incorporating anti-ageing benefits of wrinkle repair and increased elasticity. 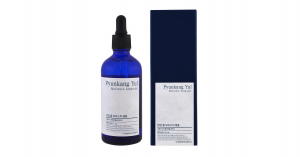 The key to this serum is the presence of its powerful fermented ingredients. At a basic level, fermentation is the process of biologically enhancing ingredients to improve their nutritional value. This is done by breaking down the molecular structure of the active ingredients into smaller particles for better reception and deeper absorption into the skin. The process also creates antioxidants (anti-ageing), peptides and amino acids (cell renewal). Fermented skincare delivers more potent actives than non-fermented counterparts. 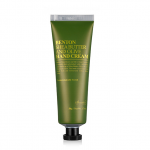 Furthermore, enhanced antimicrobial properties mean parabens are generally not required for preservation. 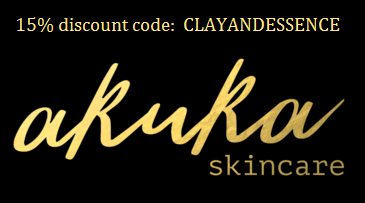 Overall, this allows skin to effectively receive a nutrient dense product without harmful chemicals. Studies have indicated that fermented yeast extract can help diminish the signs of skin ageing by improving collagen synthesis. As fermented products mimic cell functions, adverse reactions are rare therefore making them suitable to all skin types including sensitive. Since fermented ingredients tend to also present hydration and anti-ageing properties, dry and mature skin types also benefit. The main ingredient of Missha’s ampoule is Bifida Ferment Lysate, a yeast obtained through the fermentation of Bifida. 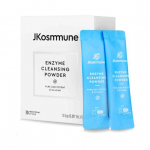 It is a probiotic said to aid DNA repair and better protect the skin barrier when applied topically. It is used in popular high end skincare lines, such as Lancôme’s Advanced Genifique and Estee Lauder’s Advanced Night Repair. 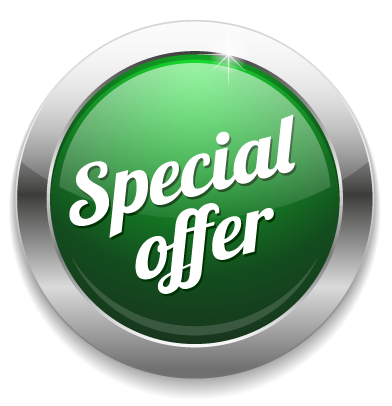 Sorbus Commixta Extract is included at one of the highest concentrations in this formula. It exhibits anti-inflammatory, anti-oxidant and skin brightening properties. Research suggests that the topical application of Lactobacillus is effective at boosting the skin’s immune system and in turn preventing infection, reducing inflammation, evening out skin tone and improving hydration. Studies suggest effectiveness in treating dermatitis and other related skin disorders. Rounding off the top seven ingredients is Niacinamide, known and used for its excellent brightening effects, rejuvenating dull, ageing skin with its ability to even out skin tone. Grifola Frondosa Extract or Maitake mushroom extract contains antioxidants as well as compounds that display anti-inflammatory properties to treat irritated skin. Many of the botanical extracts in this ampoule contribute to skin nourishing and barrier improvement, so I won’t go through the many items individually. Retinol has well publicized anti-ageing benefits, able to stimulate cell regeneration for a healthy glow. Unfortunately, the concentration present in this ampoule is minuscule. 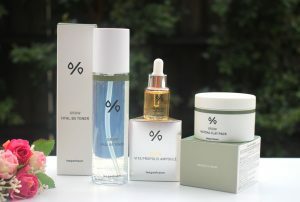 According to Jude Chao at the informative Fifty Shades of Snail blog, Missha admits only 0.0004% is present in the ampouple. As such, it can only be concluded that negligible trace elements of the ingredients that follow retinol in the list are present (given they are ordered from highest concentration to lowest). Although 45 items follow, it’s still a mighty long list with many great ingredients preceding retinol, their concentrations however, unknown. Given that, it’s probably safe to assume the top 10-20 ingredients are the main players. 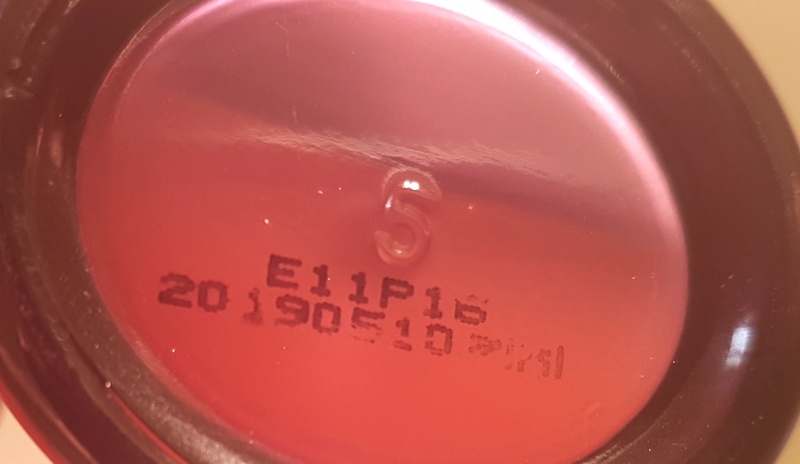 Water (aqua), bifida ferment lysate, glycereth-26, juniperus chinensis xylem extract, sorbus commixta extract, bis-peg-18 methyl ether dimethyl silane, butylene glycol, niacinamide, glycerin, betaine, grifola frondosa (maitake)/ophioglossum vulgatium extract ferment filtrate, leuconostoc ferment filtrate, lactobacillus/rice ferment filtrate, lactobacillus ferment lysate, yeast ferment extract, lactobacillus/soybean ferment extract, saccharomyces/viscum album (mistletoe) ferment extract, lactobacillus ferment, pseudoalteromonas ferment extract, saccharomyces ferment filtrate, hydrolyzed rice extract, portulaca oleracea extract, sea water, chamomilla recutita (matricaria) flower extract, sodium hyaluronate, echium plantagine seed oil, cardiospermum halicacabum flower/leaf/vine extract, helianthus annuus (sunflower) seed oil unsaponifiables, tocopheryl acetate, ascorbyl tetraisopalmitate, manikara muttinervis leaf extract, theobroma cacao (cocoa) seed extract, cassia alata leaf extract, laminaria digitata extract, pogostemon cablin oil, tripeptide-1, tripeptide-10 citrulline, hydrolyzed wheat protein, hydrolyzed soy protein, alpha-glucan oligosaccharide, limnanthes alba (meadowfoam) seed oil, beta-sitosterol, panthenol, cholesterol, glyceryl linolenate, glyceryl linoleate, ubiquinone, macadamia ternifolia seed oil, retinol, cucumis melo (melon) fruit extract, biotin, brassica compestris (rapeseed) sterol, sodium ascorbyl phosphate, amaranthus caudatus seed extract, acetyl hexapeptide-8, copper tripeptide-1, adenosine, ethyl hexanediol, cyclopentasiloxane, dimethicone, PEG-11 methyl ether dimethicone, PEG-40 hydrogenated castor oil, PPG-26-buteth-26, polysorbate 20, carbomer, glyceryl caprylate, triethanolamine, glyceryl polynicotinate, dimethicone/vinyl dimethicone crosspolymer, acacia aravica stem bark extract, xanthan gum, carthamus tinctorious (safflower) oleosomes; octyldodecanol, cyclomethicone, dipropylene glycol, hydrogenated lecithin, dextrin, lauryl methacrylate/glycol dimethacrylate crosspolymer, dimethiconol, lecithin, propylene glycol, glyceryl arachidonate, ceteth-24, choleth-24, hydroxypropyltrimonium maltodextrin crosspolymer, cetyl phosphate, caprylic/capric triglyceride, PEG-5 rapeseed sterol, ceteth-3, ceteth-5, silica, disodium EDTA, phenoxyethanol, potassium sorbate, sodium benzoate. Sleek and sophisticated, the heavy glass bottle that this ampoule comes in, is very impressive. The colour is striking, a metallic violet that is almost opaque, yet sufficiently transparent to be able to see the product inside. The coral coloured serum looks amazing through the glass, especially when held up to the light. The dropper mechanism too is impressive. 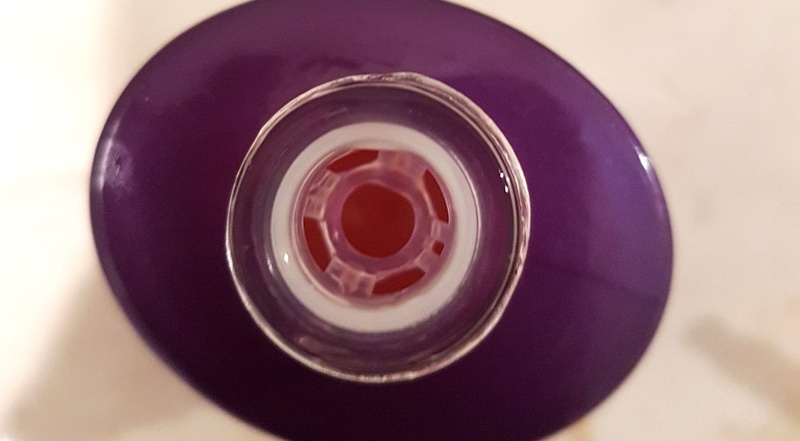 Within the neck of the bottle, a plastic net firmly keeps the dropper in place and also cleverly reduces the possibility of dripping, collecting excess fluid as it is extracted. The chrome rim on the dropper lid adds another classy element to packaging that truly impresses and looks great on the bathroom counter. Regardless of the fact that the ingredient list is excessively long, (not unlike the product title), surprisingly, both the CosDNA analysis and EWG Cosmetics Database, rate the Missha ampoule well, with the only cause for concern being the presence of Retinol which can increase sun sensitivity and hence the likelihood of sun damage and even skin cancer. However, it is a widely used ingredient in anti-ageing skincare and is considered safe if followed up with sunscreen protection during daylight hours. The application instructions state that this ampoule can be used day and night after toner/essence and before serum/lotion. 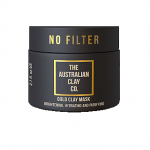 An appropriate amount should be gently spread onto the face until fully absorbed. There is a very subtle fragrance to this product. It’s so delicate, that it makes it difficult to describe. It is however so mild that it is unlikely to be of concern to those sensitive to fragrance. 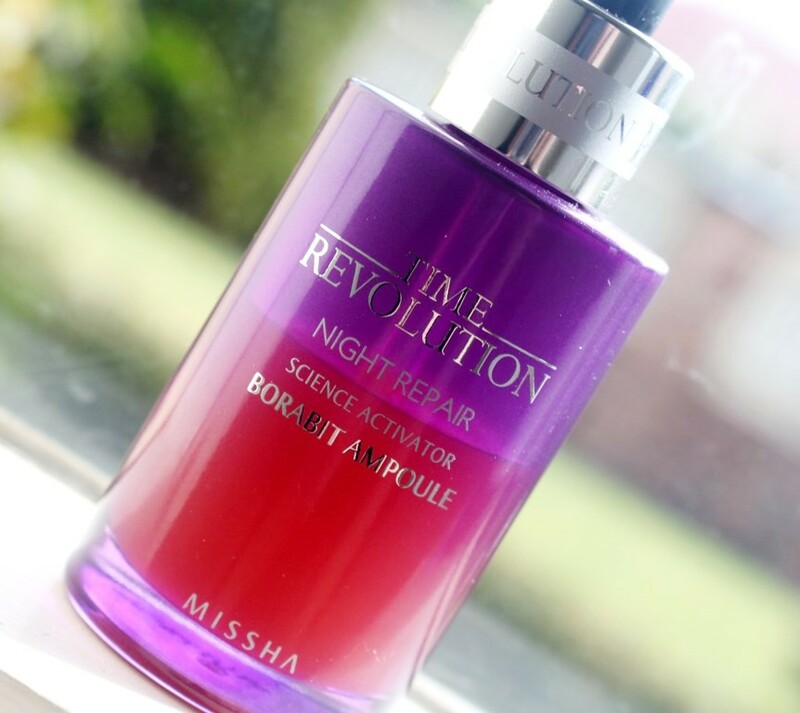 The Missha Time Revolution Night Repair Science Activator Borabit Ampoule 50ml sells for around AUD$43.00. 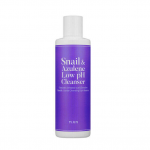 This product is very popular in Korean skincare and can be found widely online at beauty and skincare sites including the Missha Website, iHerb and Style Korean. 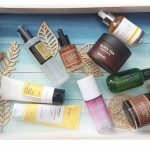 You can also find it on eBay but it’s not easy to ensure you’re getting both a fresh and genuine product, so I would suggest using one of the Korean skincare stores instead. 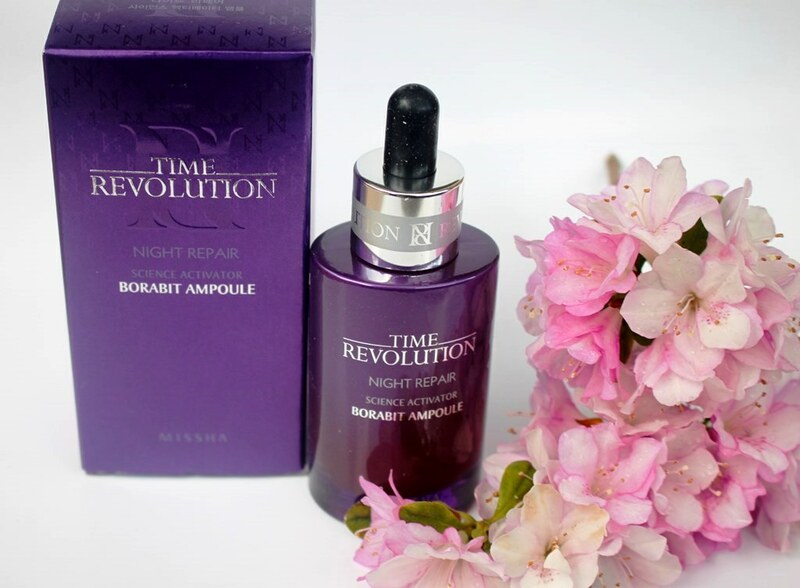 The Time Revolution Night Repair Science Activator Borabit Ampoule must be used within nine months of opening and has an expiry of two years. 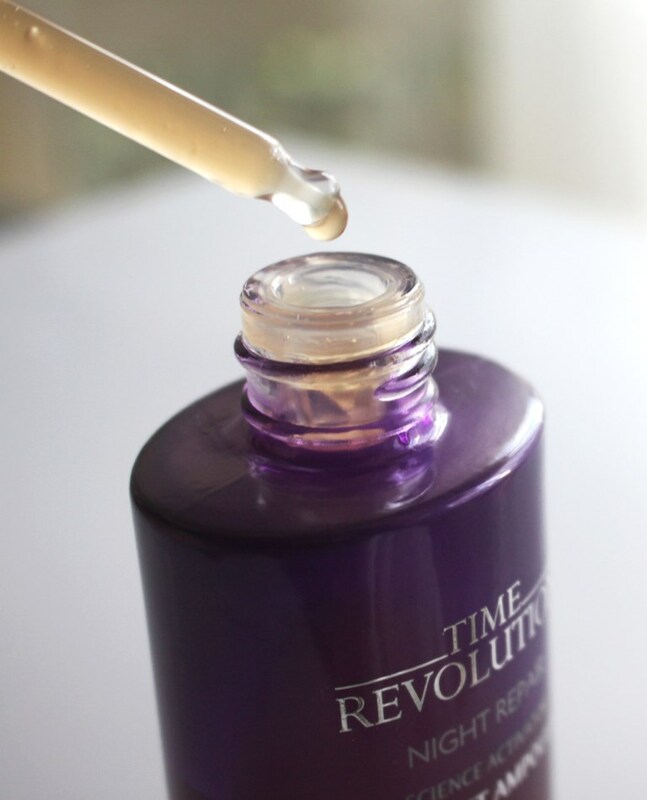 So, in theory, the Time Revolution Night Repair Science Activator Borabit Ampoule looks amazing with a smorgasbord of star ingredients. It offers the many, already discussed benefits of fermented plant extracts. But does it perform in practice? 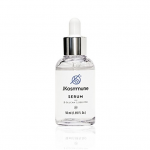 The serum is thick but smooth, easily absorbed into the skin with only three drops required to cover the face and neck. 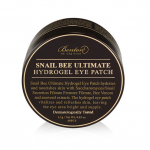 It is gentle so you can use it on the eyelids and lips. I introduced this product into my evening routine on a daily basis for around 3 months. I enjoyed the application. The bottle looks so glamorous that I hoped I could attribute a positive outcome to this ampoule, so I can permanently give it a place on my bathroom counter! However, I didn’t. So, I decided to simplify my night time routine and start using this twice a day for a further couple of months, once in the morning, the other before bed to gauge its impact. Even though it is called a night repair and as such typically contains retinol, the Missha application instructions permit day and night use. Therefore, the logical conclusion would be that such actives are present at insignificant concentrations, supporting the findings of Jude Chao. If they were key ingredients, it would be responsible for the manufacturer to recommend evening use followed by sun protection the next day. So, after almost two months of twice daily use, the impact was detectable but quite minimal. I don’t think any of the anti-ageing results I am seeing can be attributed to this product, as I am using some heavy duty matrixyl based serums that would have a far greater impact on the appearance of fine lines. Perhaps if I were not, this ampoule would have a chance to shine and really impress. 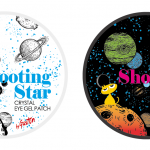 At the same time, being in my 40s, I love my anti-ageing serums and don’t want to remove these as they are so effective. Regarding brightening and evening out of skin tone, I do use Vitamin C daily which also performs this task, however, in combination with two hits of the Missha ampoule, I think my skin is more radiant. So, perhaps it is logical to conclude that this ampoule works but ever so gradually. Maybe high potency fermented ingredients simply return skincare benefits over time with regular application. 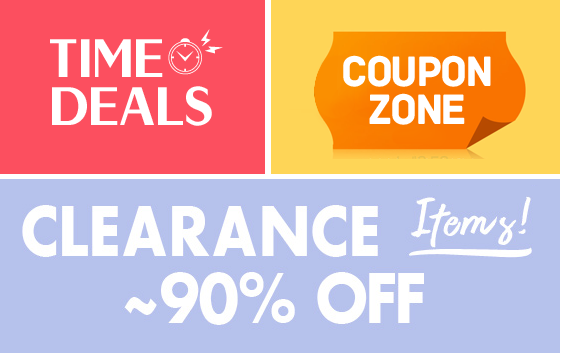 After all, what potion is going to make you look 10 years younger overnight? These are my observations anyway, and as such, I will buy another bottle and continue to observe the results. 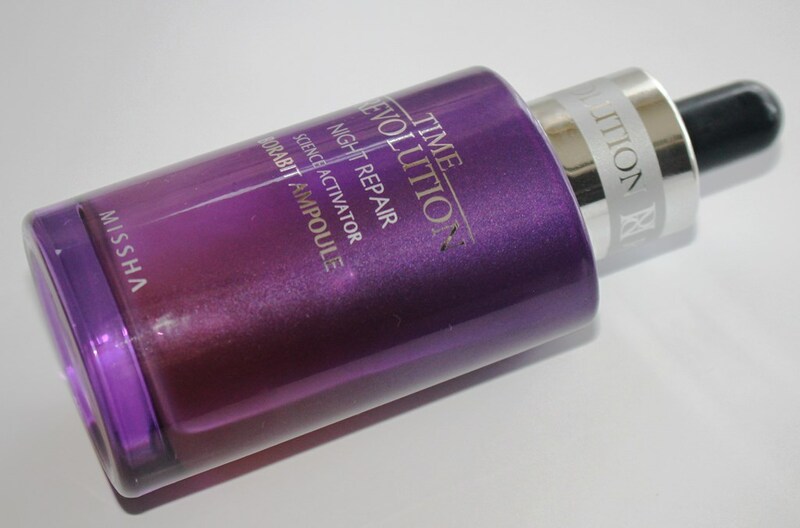 So in summary, the Time Revolution Night Repair Science Activator Borabit Ampoule is very nice to use and the combination of fermented ingredients is surely a good thing for my skin, so although the results are not astounding nor blatantly obvious, it is a gentle formula filled with nourishing actives and well worth a try. 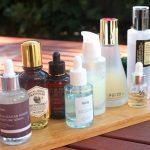 Those with a simpler routine are likely to see its benefits more quickly and clearly than I did, particularly if you are not using other serums that combat the same target areas. Because of clear similarities in content and performance, it is often compared to the Estee Lauder Advanced Night Repair serum which is triple the expense. 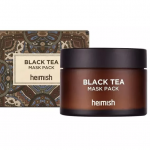 So from a price point, together with the fact that is has an almost cult-like following and endless positive online reviews, it’s definitely a skincare favourite that clearly works for a huge number of consumers.